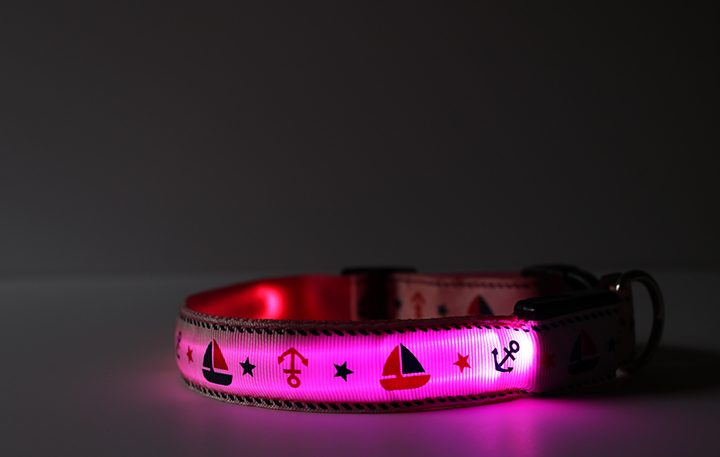 Keep your dog safe at night with a USB rechargeable LED dog collar. 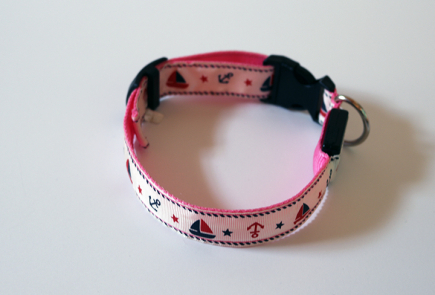 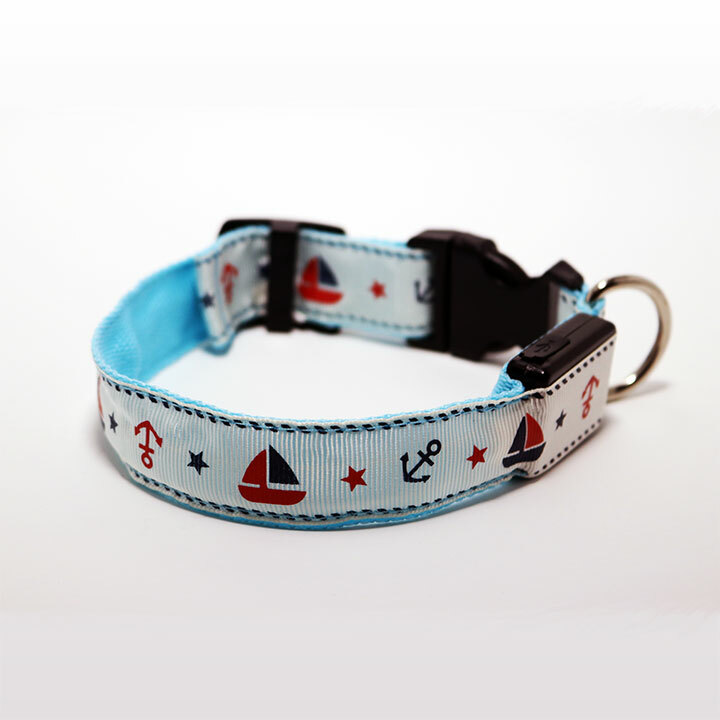 This exclusive nautical Rhode Island themed design is adorable during daylight hours when the light is off. The pink light is super bright once turned on. Keep an eye on your pup when you let them roam in the backyard. 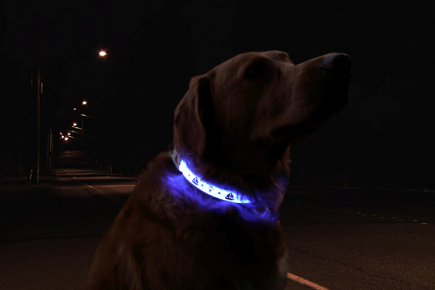 Be seen easily when going for night and early morning walks. 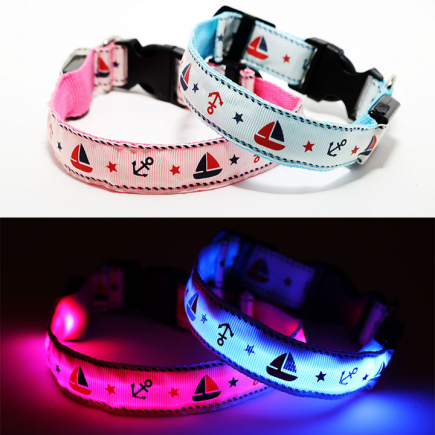 The LED dog collar has three settings: lights up fully, flashes slowly, and flashes quickly. The collar comes in sizes Small-XL and includes a USB charging cable. 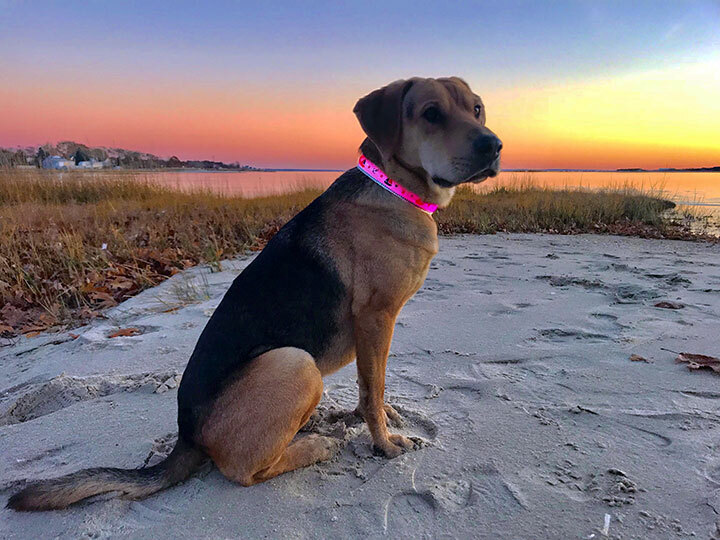 Keep your dog safe and help animals in need! 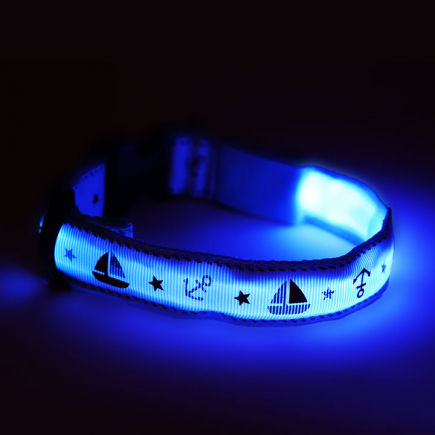 This LED light up dog collar will keep your beloved dog safe at night! It features a rechargeable battery and a unique anchor and sailboat design that looks great both on and off. 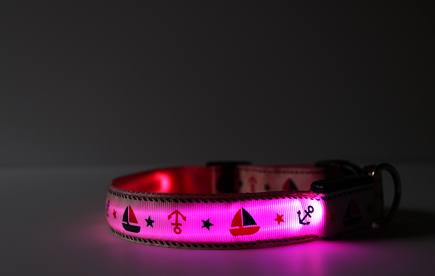 This pet collar has 4 light mode options: constantly on, slow flash, fast flash and off. 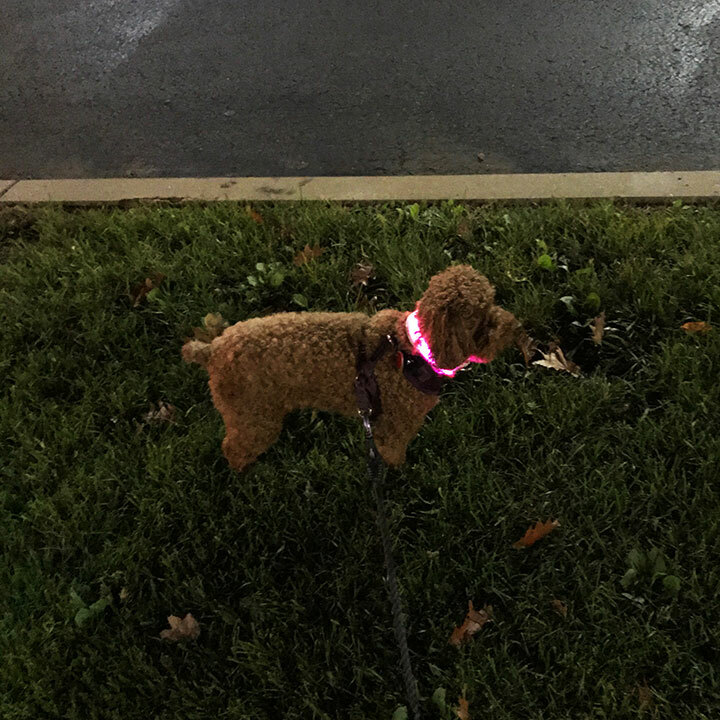 Use it for night walks or to keep track of your dog in your yard. Available in 2 colors: Pink or Blue, as well as 4 different sizes: small, medium, large or xl.